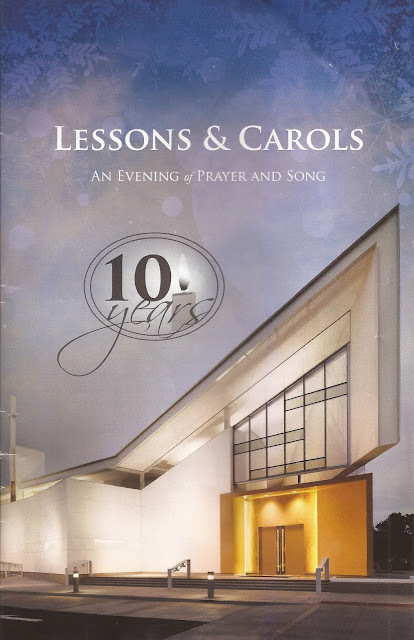 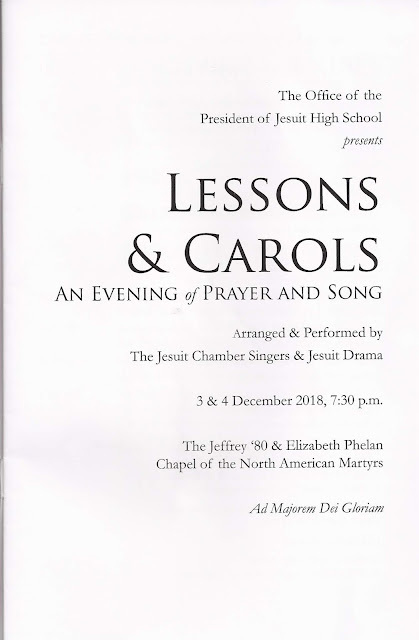 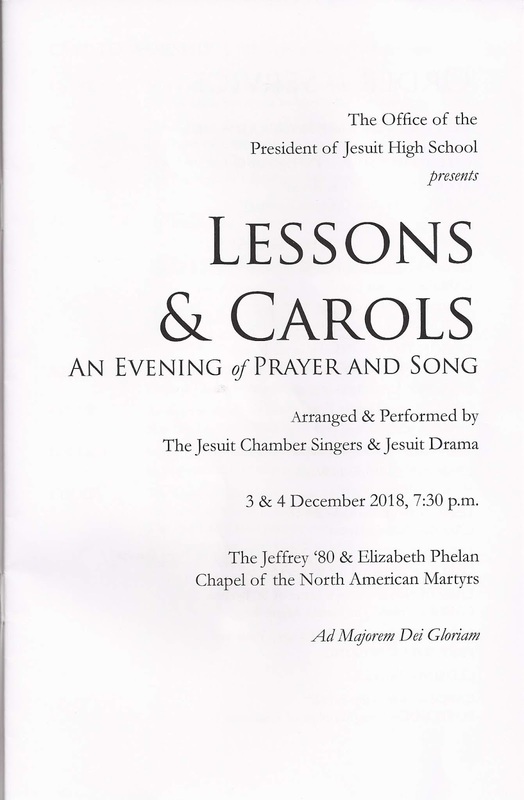 For the third straight year [2016, 2017], Sharon and I went to Lessons & Carols, an evening of prayer and song presented by the Jesuit High School Chamber Singers, the Concert Choir of St. Francis High School and Jesuit Drama at the Chapel of the North American Martyrs. 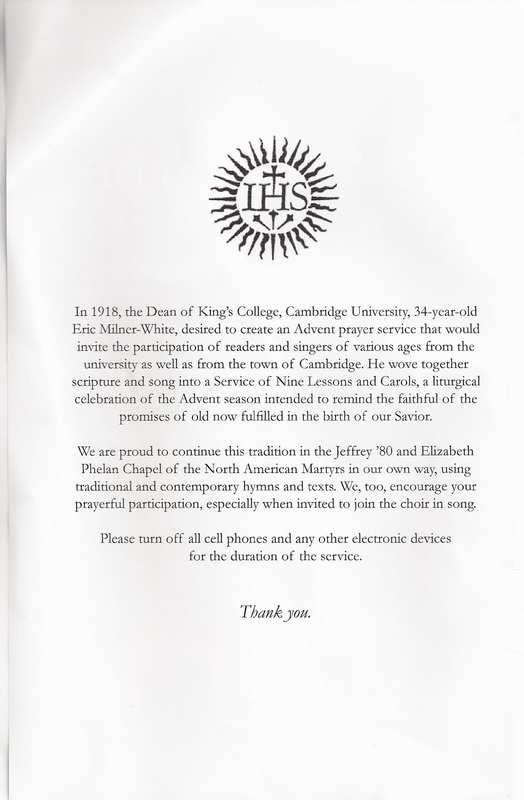 Sharon's brother Tom went with us. Sharon went by herself in 2015 while I was working in the Napa Valley.